Fannie Mae recently introduced an expanded HomePath for Short Sales tool to resolve short sale challenges. The tool, a new short sale escalation process, is open to any real estate professional working on a short sale involving a Fannie Mae-owned loan. Once a case is escalated, Fannie Mae will directly engage with the agent or servicer to address challenges such as when you are ready to list a property and need a recommended list price; you want to contest a value Fannie Mae has assigned to a listed property; you haven’t heard back from the servicer; and/or you have an issue with an offer currently under negotiation. If you are a real estate professional seeking assistance with an active short sale, you have the option of escalating certain issues directly to Fannie Mae to get the answers you need. When should you contact Fannie Mae about a short sale? I’m ready to list a property and need a recommended list price. I want to contest a value Fannie Mae has assigned to a listed property. I submitted an offer to the servicer more than 20 days ago and have not received acknowledgement of it. My request for a valuation has been pending with the servicer for more than 30 days. I have not received an acceptance, rejection or counter to an offer I submitted more than 60 days ago. I have an issue with an offer. I have a question about a Fannie Mae policy related to short sales. Determine if Fannie Mae owns the loan using our Loan Lookup tool. Read about what information you’ll need to provide on the checklist below. Ask your client to complete Fannie Mae’s Borrower Authorization Form. Before you contact Fannie Mae about a short sale, make sure you have all of the information you need. The information you need depends on the request you are making. 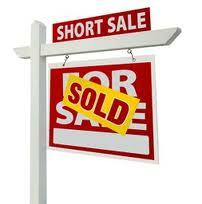 Some information is required for Fannie Mae’s dedicated short sale team to be able to help you. 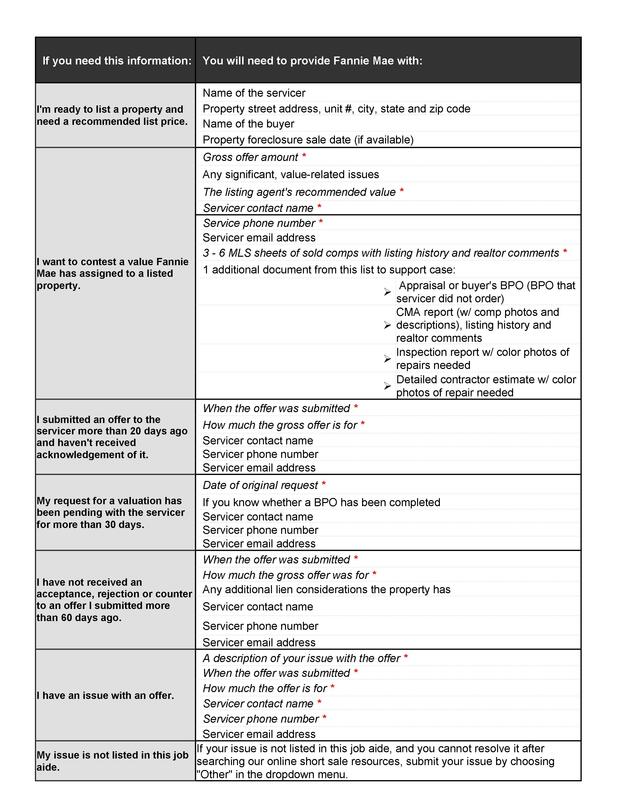 After verifying Fannie Mae owns the loan, Fannie Mae will need your contact information (listing agent name, agency name, phone number, and email), the Fannie Mae and/or servicer loan number, and a completed Fannie Mae Borrower Authorization Form, which you will need to upload when you begin the process. You are currently browsing the Teamwork Program's Blog blog archives for March, 2013.